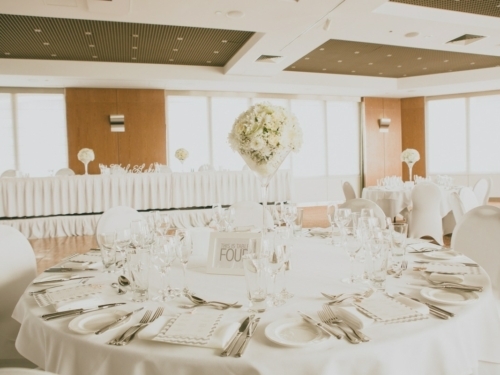 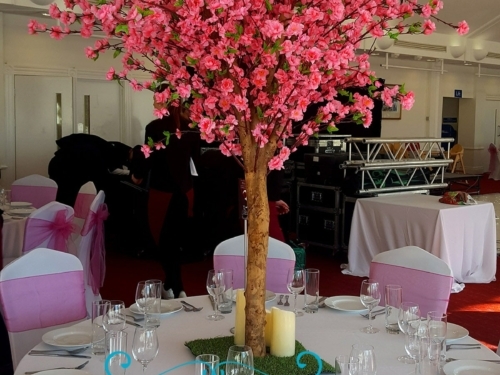 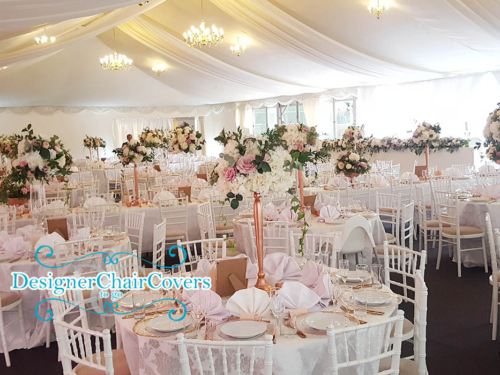 Looking for unique centrepieces,we have it all in house – dramatic to subtle, candelabras, vases, blossom trees, orchid centrepieces and more. 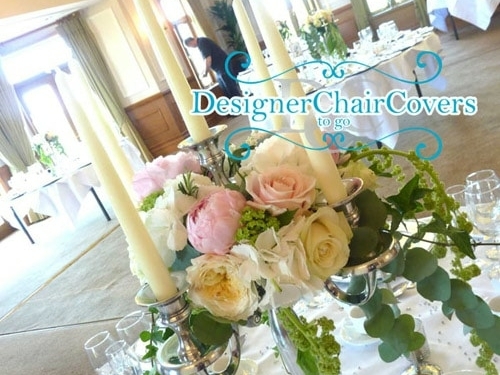 We work with both fresh and artificial silk florals to create superb table centrepieces. 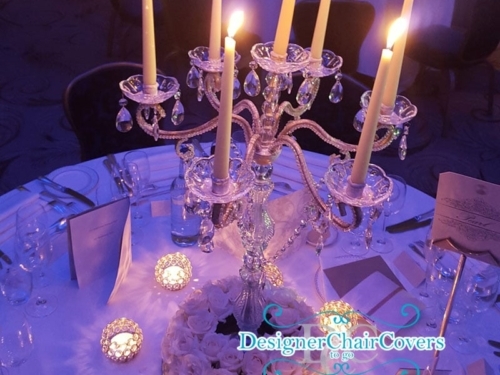 Our candelabras come in a variety of colours from gold candelabra, silver candelabra, black candelabra, white candelabras and crystal candelabras. 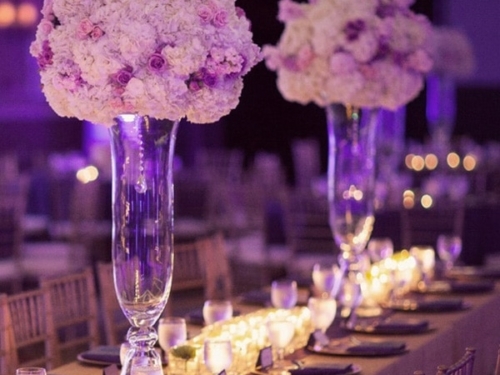 We have a variety of jars, vases and vessells for our florals. 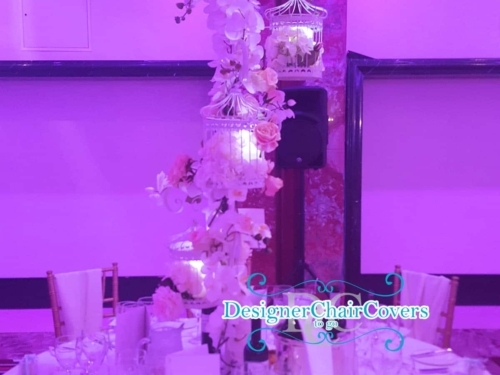 We have custom designed pieces as well as trees, floating pieces and more. 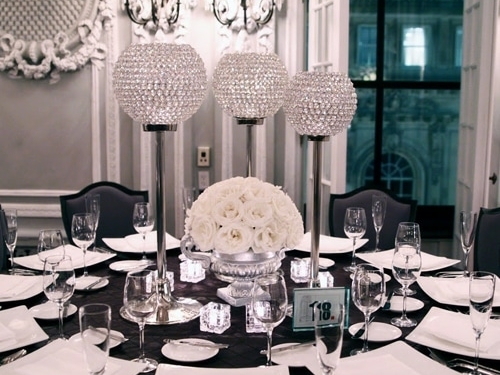 The centrepiece is the talking point on any table so make yours count! 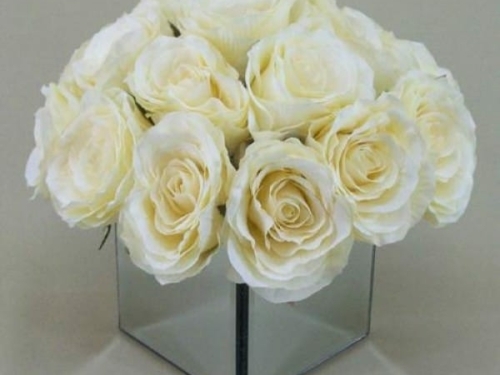 The Bell vase for luxury florals is now in stock. 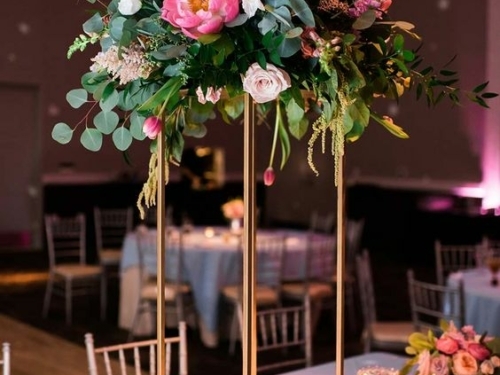 The bell vase can be used either side for a superb look. 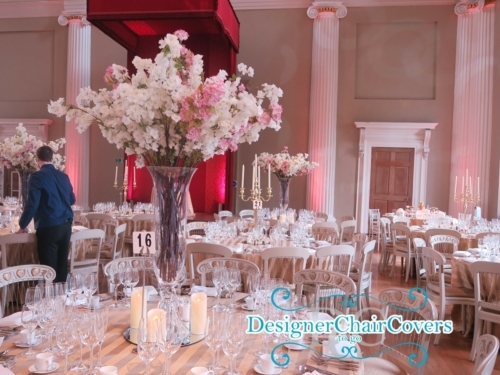 We hire out our bell vases with our luxury floral displays. 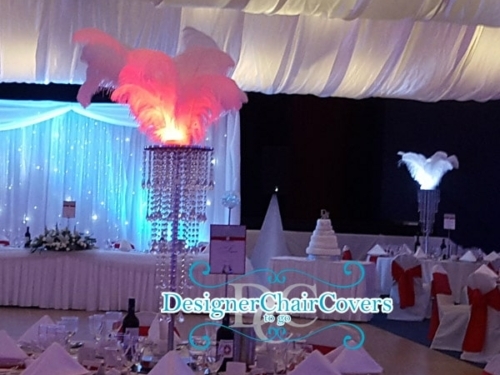 Get in touch now for more information. 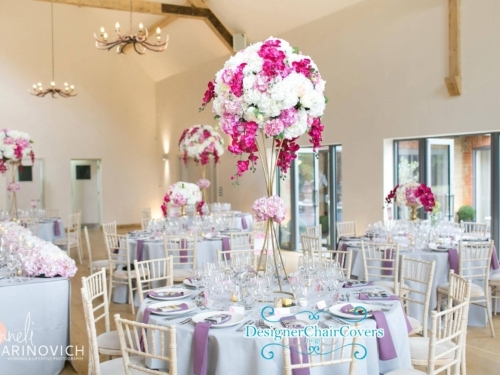 Candelabra with silk florals in colour schemes of your choice. 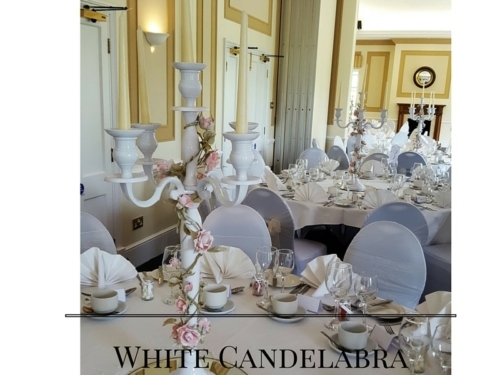 Candelabra can be gold, silver, white or black.. 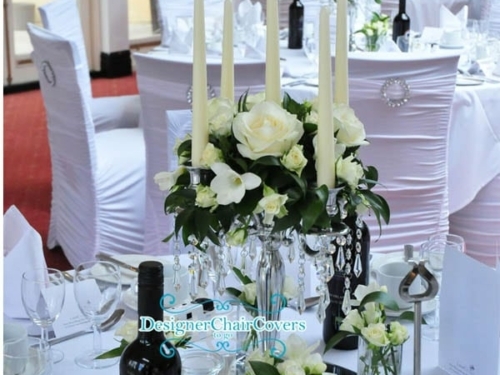 The candle centrepiece is great for events that allow flames! 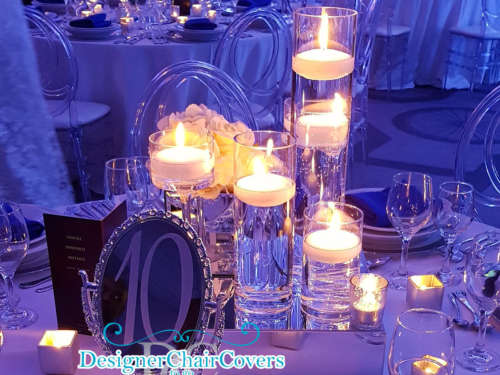 A selection of candles on our large mirror disk. 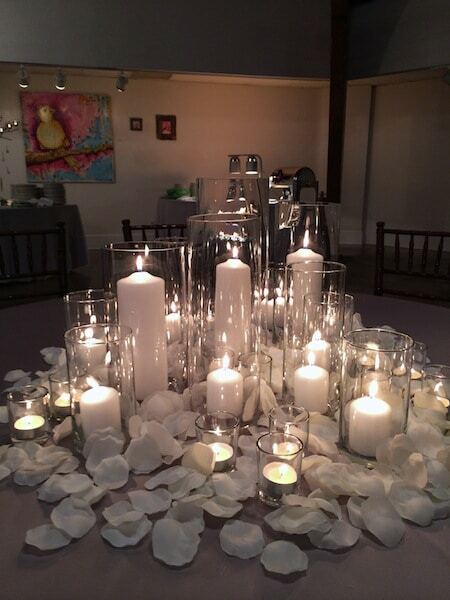 We can add floating candles to the mix if need be just ask! 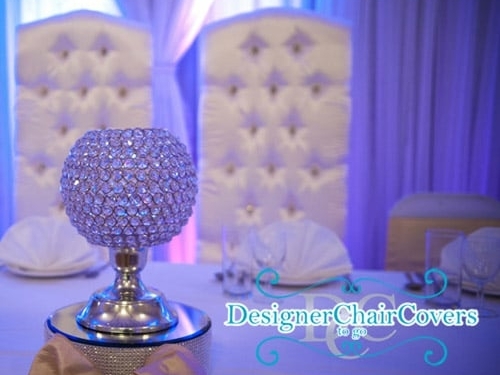 To add to the absolutely stunning and one of our favourite pieces of the designer crystal globe we are proud to launch the Silver Goblet. 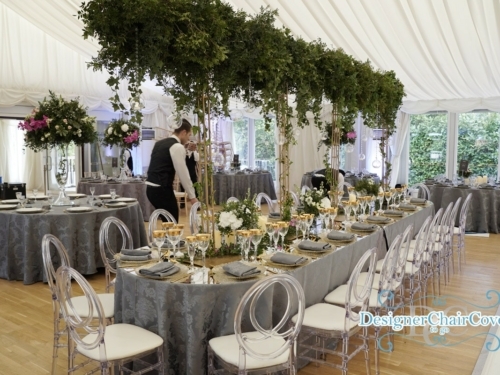 A large silver goblet which is a fabulous alternative to a floral arrangement, as table centrepieces or even on the top table. 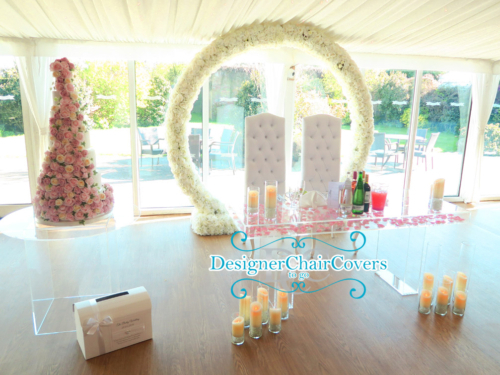 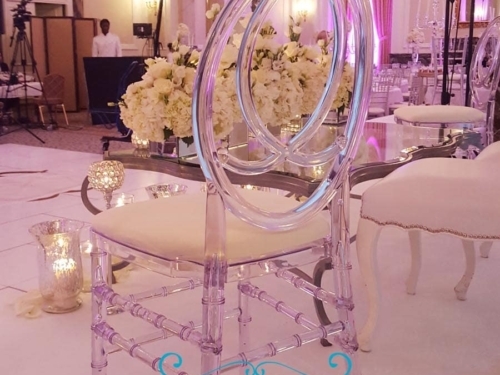 The crystal goblet can be used to align the top table as a modern eye catching dazzling and impressive option for a crystal theme wedding or event as well as a far alternate inexpensive option to the typical floral top tables, which can be much appreciated during the credit crunch times. 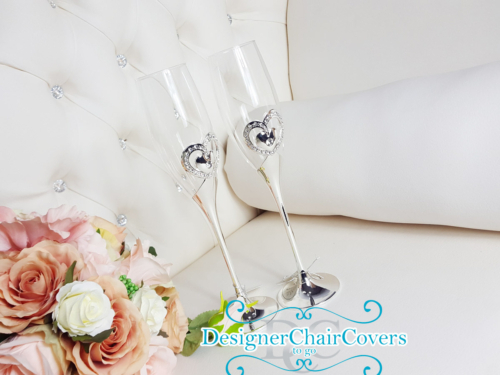 The Silver crystal goblet matches the Designer globe which comes in medium and large sizes. 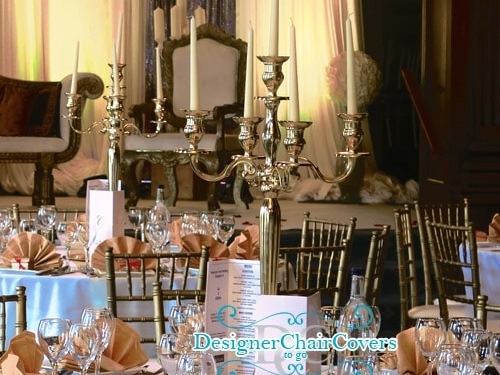 Gold candelabra with protective glass cups for hire. 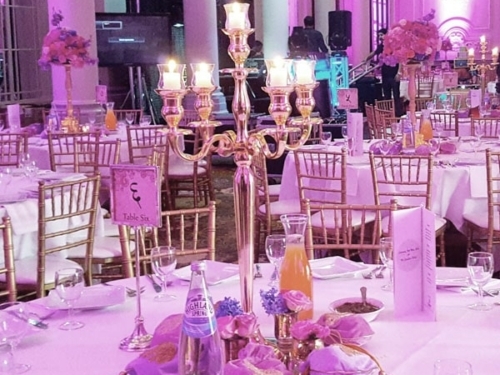 The gold candelabra stands at 80cm in height. 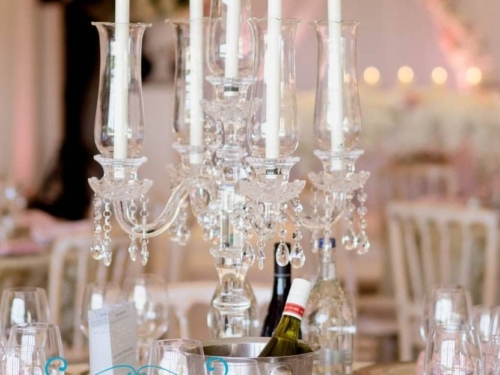 The Glass cups create a completely different look, elegant and luxury. 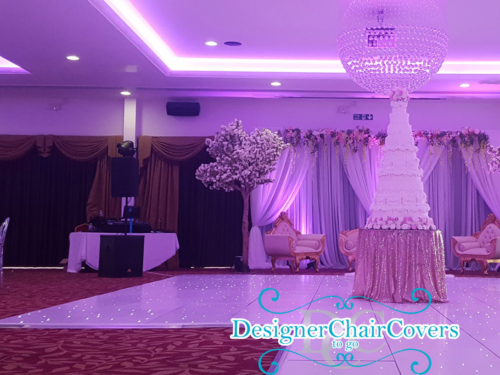 Any questions then get in touch today. 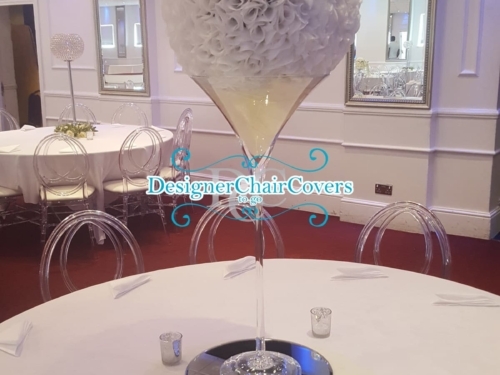 Our glass Martini Vase are for hire, They are a very popular for both weddings and events a great option as it allows for much choice and creativity from simple dry hire for the use of flowers to something unique and even glowing. 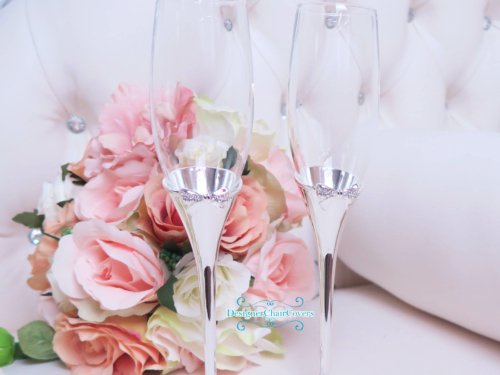 We have LED lights which can lighten the martini vases to produce a light glow to cascade down onto the tables in your colour scheme with matching soft gems. 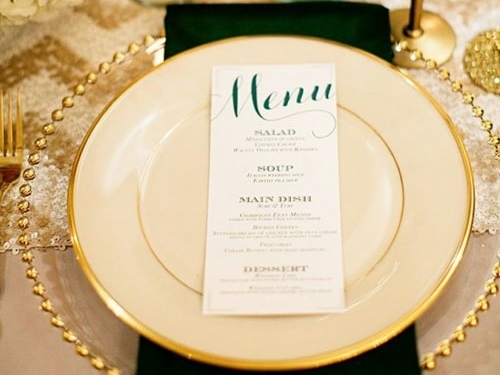 The choices are plenty! 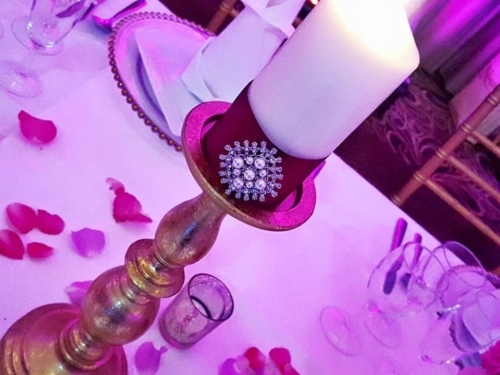 Or if you want more of a romantic feel why not go for a floating candle arrangement with your wedding theme colours for the crystal gems. 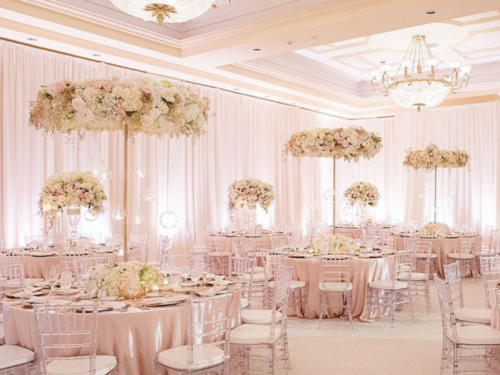 This is always a crowd pleaser of both elegance and sophistication! 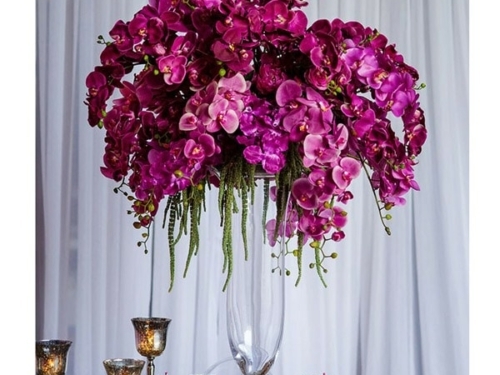 The dramatic pink orchid centrepiece on the bell vase is a great showstopper for your guests when entering the room. 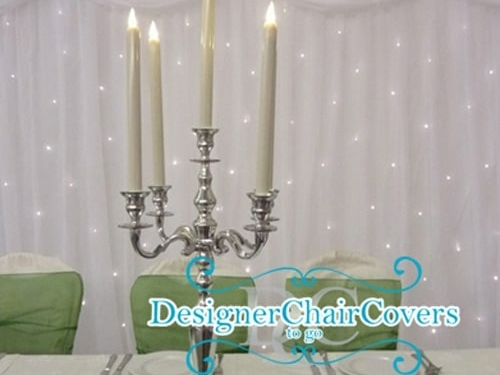 Towering above the tables it makes a fantastic showpiece without blocking the way between your guests. 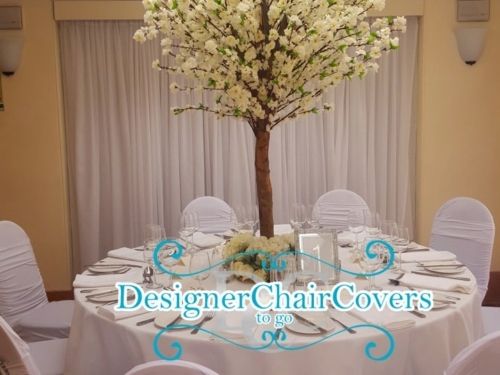 The newest item to enter the Designer Chair Covers To Go HQ is the floral ring. 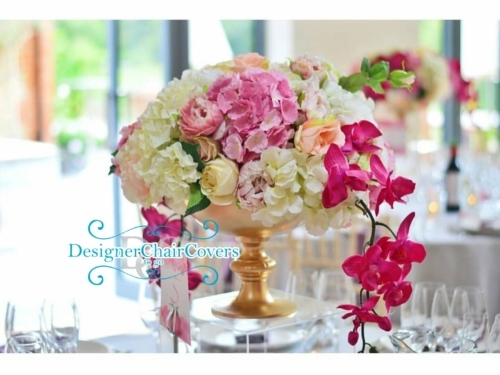 Can be created with silk flowers or fresh. 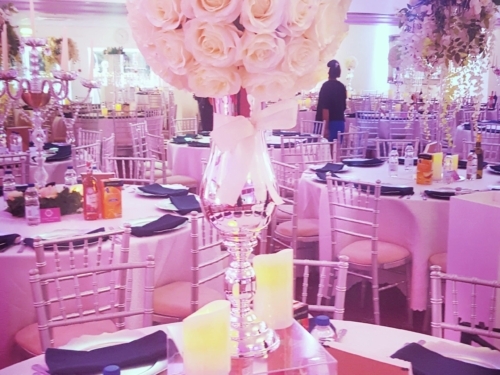 The centrepiece is tall enough not to block the way of your guests whilst really being dramatic for your guests to really have a wow moment when they enter. 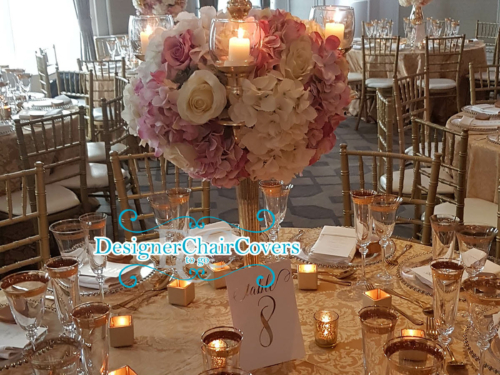 The floral ring centrepiece is gold stemmed and then we add our crystal orbs and gorgeous flowers to this opulent centrepiece. 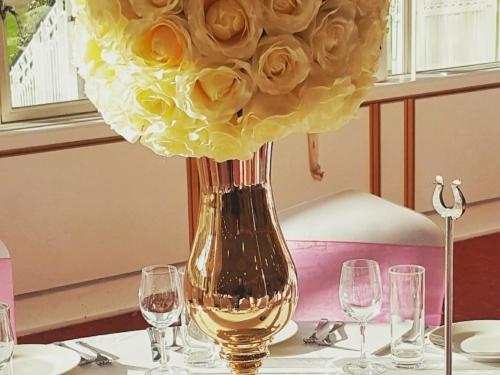 The Ivory rose rose arrangement carefully placed on the silver curved trumpet vase. 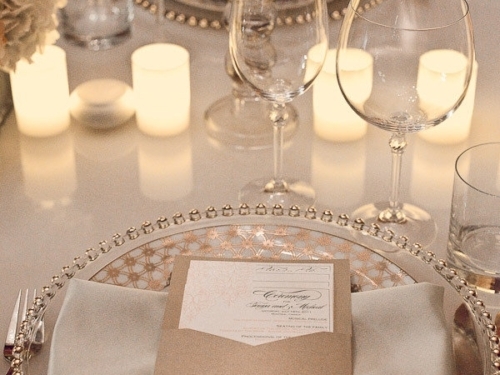 It is delicate highly shiny and pretty. 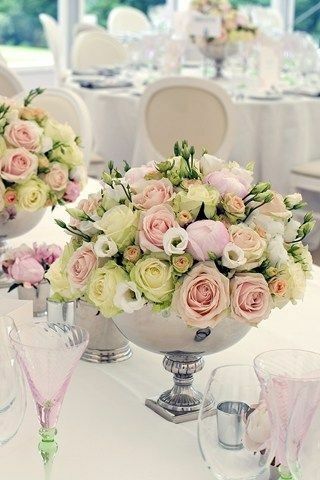 This arrangement is unique to us and is grand enough to really make the table look gorgeous. 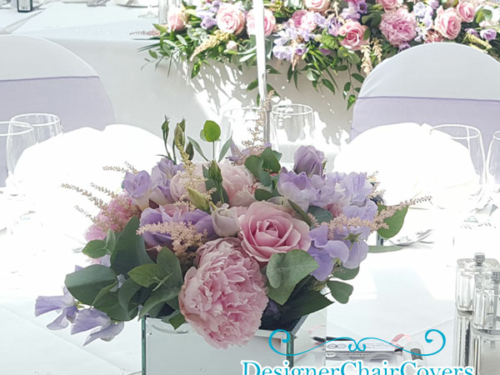 This vase can be used with or without the silk rose ball We can of course customise an arrangement for you (surcharge) The price quoted does not include VAT. 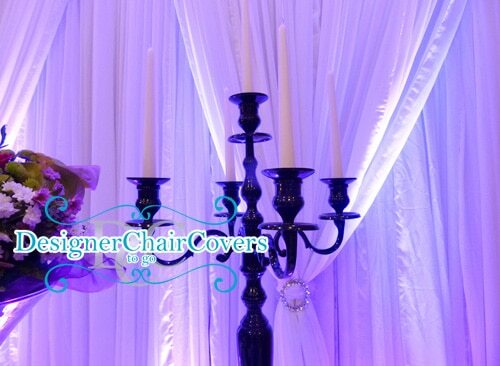 Or the extras like the clear pedestal and the flicker candles.